For thousands of years, the sacred wisdom was transferred through the resonance of mantra chants as the most empowered "Shaktipat" awakening energies. Receive the blessings of awakening Consciousness! Turiya Nada is the genius of upbeat, uplifting music with the sacred transmission of joyful, powerful and potent mantras and meditative energies that have been passed down through an ancient lineage of enlightened Sages, the Siddhars of South India. Turiya is the higher conscious state of the realized Sages- the state of 'sleepless sleep' and Nada is the primal resonance as the dance within stillness. Turiya Nada is the flow of consciousness through music as the grace of the Siddhar Sages blessings! About the Siddha Sages: The Siddhas are enlightened Sages who journey beyond the realms of the limited mind state. They are in the state of higher consciousness that is beyond sleep, dream, and wake. It is this divine state called Turiya that they sing and chant and dance in the higher resonance with sublime bliss. Thousands of years of sacred empowered wisdom was not passed from Guru to disciple through books or even oral teachings. The potent wisdom was imparted through resonance, through the light grace within the mantras. Through the whack of resonance (also called Saktipat/Sivapat) was the awakening of self-knowledge, innermost stillness and the ecstasy of bliss and joy. Chants by Nandhiji: Nandhiji shares the rare wisdom and teachings of the seldom revealed source of yogic wisdom of the Siddha Sages, the liberated mystics of South India- through music. After years of seeking "wholeness" through connection with the inner world, Nandhiji woke up to understand his highest purpose: to uplift humanity in consciousness. 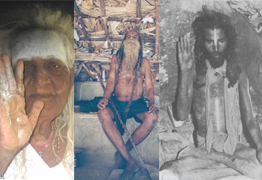 Nandhiji’s experiences ranged during these times from firm yogic resolve in undertaking pilgrimages to sacred temples and hidden sanctuaries across India, to epic adventures in the spiritual wilderness of South India, to sojourns in forest shrines and caves—all under the guidance of his Gurus. Consciousness has through the history of ancient India been conveyed from Guru to disciple through mantras as the 'deeksha', the process of transfer of grace. Nandhiji conveys this grace of lighting the inner lamp of the listener through mantra chants within Turiya Nada. Debut Album of Turiya Nada: Cave of the Siddhars is the sacred transmission of powerful and potent mantras and meditative energies that have been passed down through an ancient lineage of enlightened Sages, the Siddhars of South India. Accompanied by the didgeridoo, harp, singing bowls, djembe, udu, gongs, flute and other instruments, each track of Turiya Nada's "Cave of the Siddhars" will take you on a mystical spiritual journey that will both delight and transform you! - Combines powerful Siddhar mantra chants of the enlightened yogis of South India with the didgeridoo, harp, and percussion. - CD includes 12-page booklet including the chants and an insight into the mystical yogi traditions. - Enhance the depth, intensity, and intent of your yoga & meditation. 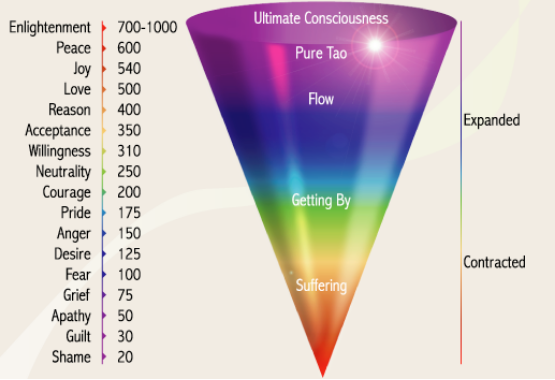 Cave of the Siddhars Album tested through kinesiology calibrates to be healing & enlightening- breaking the limits of 1000 on Dr. David Hawkin's Scales of Consciousness. Receive the ancient Grace flow, Shaktipat in Awakening! Turiya Nada's 2nd album, Invoke the Masters is The continued inspired breath of Cave of the Siddhars. Invoke the Masters has been described as a 'notch' more powerful than Cave of the Siddhars. The powerful Siddha mantras have been weaved along with the didgeridoo, the harp, keyboard, percussion, flute, tamboura, singing bowls, acoustic harp, and cymbal. - A 10-page booklet that provides insights to each track and the interesting wisdom of the mystical Siddhar yogis related to each mantra chanted. 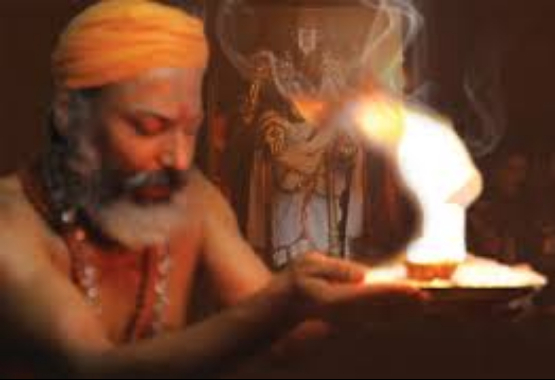 - The invocation of 210 Siddhas, the Beings of Light is by Siddha Rajaswamy carries with the invocation, the secretive location where each of these Masters meditated through their life. The details of the invocation are mentioned in the booklet. 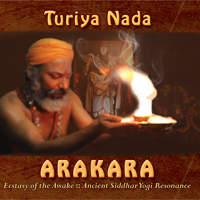 Turiya Nada's 3rd Album: Arakara. After over 5 years of intent to create a wave of music to reach humanity as blessings of the Siddhars, ARAKARA was created. The meditative powers within the resonance as seeds of mighty consciousness, alongside the joys of the special musical composition, is the dance of awakening. Arakara will make you dance in the sacred joys!